Michael grew up in a family that had a strong automotive addiction. Most of his childhood was spent working on a variety of muscle cars, including a 1966 SS 396 Chevelle, a 1970 GMC 2500, a 1968 Camaro and the 1979 Camaro Z28 that he still owns to this day. 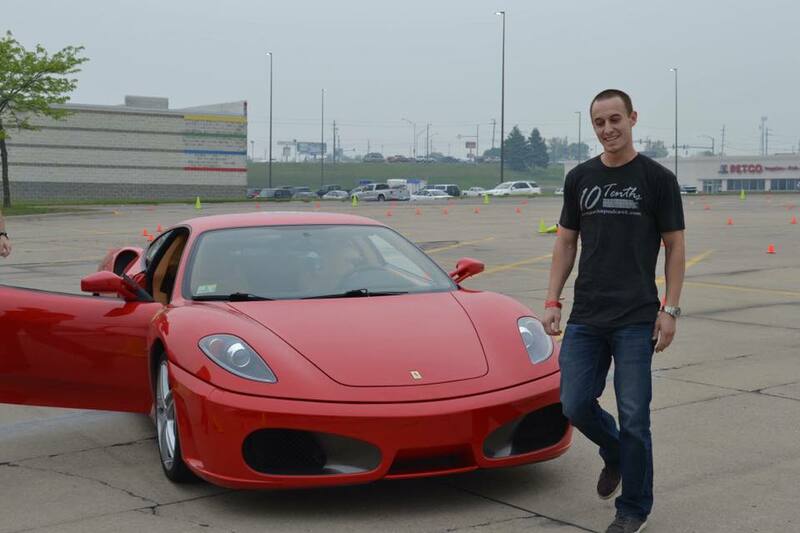 After graduating from high school, Michael was looking for something more rewarding than just fixing up old hot rods; that's when he turned to autocross. In 2009 he bought the infamous 1974 FIAT 124 (yes the drift FIAT) and began building a cone smasher. After finally taking the 124 to a track day in 2013, he decided to build a purpose built track-day toy. Inspired from his experience with muscle cars and his appreciation for small light chassis, he decided to build a V8 swapped RX7. Plans drastically changed for the car in 2016 when he was introduced to drifting at Gridlife Midwest. Michael "completed" the RX7 in 2017 and continues to improve his skills in drifting and fabrication. Michael is also an advid photographer; a hobby that had been overshadowed by cars and watches up until starting the podcast in 2016. Photography added a much needed visual element to Ten Tenths that many other podcasts didn't have. I've owned this car for over 13 years now! Oooooh yes, with that 6.0L LS2! Adam's love for cars has been forced upon him since day one. He attended his first drag race at the ripe age of 2 weeks, and started racing at the age of 8. After drag racing he tried out the show car and stereo scene, followed by the Audi lifestyle, before coming back to racing. To his father's great disappointment he has drifted away from muscle cars and drag racing, and has picked up FWD 4 bangers and autocrossing. Adam has an unhealthy love for his cats Jake, a Russian Blue, and Koni aka Stance Cat, a munchkin. He is one bad break up away from being the crazy cat lady. Freshly rebuilt 2.2L 4 cyl. Robert grew up with a love for all things motorsport. The focus was first aimed at motocross; which was fueled by his father getting him a Yamaha TTR125 and taking his brother and him to ride trails on nearly a weekly basis for years. He also had an immediate interest in metal working and custom fabrication when he first saw Motorcycle Mania on Discovery Channel around the time he was 13 years old. Still to this day he has a fascination with anything related to the dying art of blacksmithing. His love of all things automotive started when he purchased the 240sx in 2007 with the intent of creating a show car. That focus changed to autocross in 2013 and he never looked back. In the future he would like purchase a track only car and get involved in SCCA club racing, as well as, other type of competitive racing. Robert’s friends continually like to remind him that he is not a doctor even though he went to college for seven years. He currently has an A.A.S. in Automotive Technology and a B.S. in Mechanical Engineering.